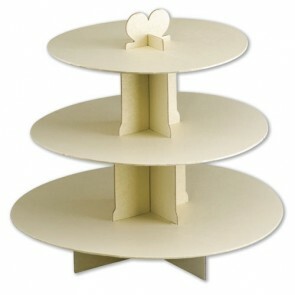 Our selection of display stands provide lots of lovely ways to present your cupcakes. 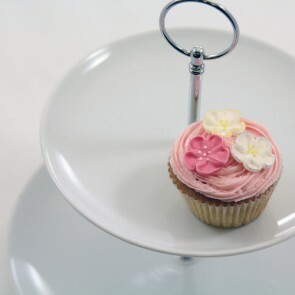 Choose from a simple Disposable stand, or for more of an event, our stunning white porcelain stands are unbeatable for displaying your cakes on a tier! The 3 tier disposable stands are ideal for parties with family and friends, or for placing on each of the tables at a large party. They are easily assembled and will hold approximately 36 of our cakes. This 2 tier cake stand is made of fine white porcelain, perfect for afternoon tea! The top tier is 18cm in diameter and the bottom tier is 24cm.